Today I visited the exhibition Fully Fashioned: The Pringle of Scotland Story, celebrating 200 years of Pringle. Pringles of Scotland is an established fashion brand that has specialized in knitwear since 1815. 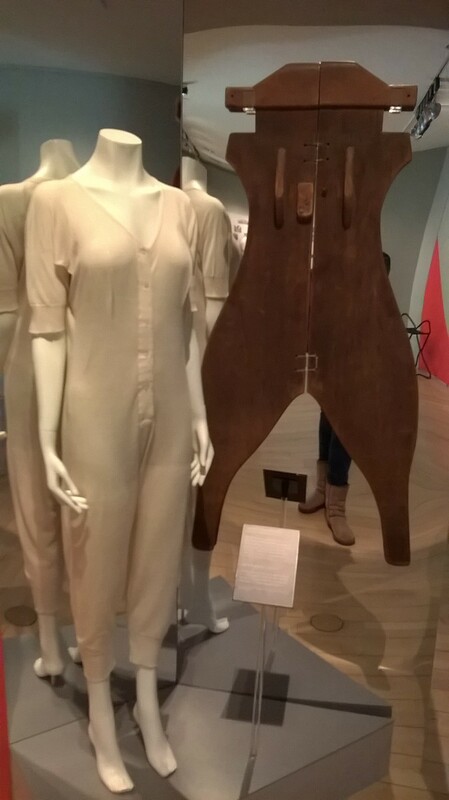 The exhibition included original designs and garments from the 1800s up to present day. The clothing ranged from casual jumpers, to sporting outfits to underwear. Original woollen underwear and drying board. Pringle originally produced knitted under garments for men and women, which were breathable, comfortable and warm. The thing that struck me when looking at the undergarments was that they were not at all what one would expect of woollen underwear: itchy, bulky and unflattering. On the contrary, Pringles woollen undergarments were delicate, soft and attractive. The revelation at the time was that Pringles undergarments featured boning at the waist, knitted lace decorations, as well as having the option of built in ‘filets’ to give the impression of a bigger bust. A drying board was on display which explained after the milling process the garments were laid on it to control the exact size and shape they dried to. The exhibition then led you round to later garments, including the classic two pieces. 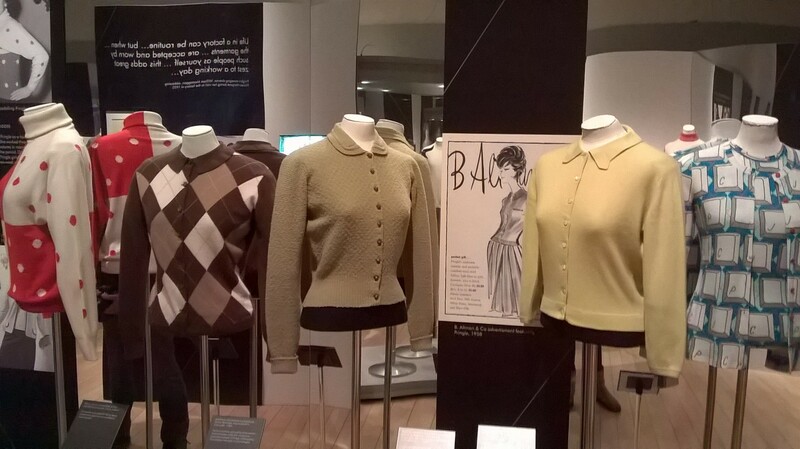 These matching tops and cardigans have become iconic for the 1950s. 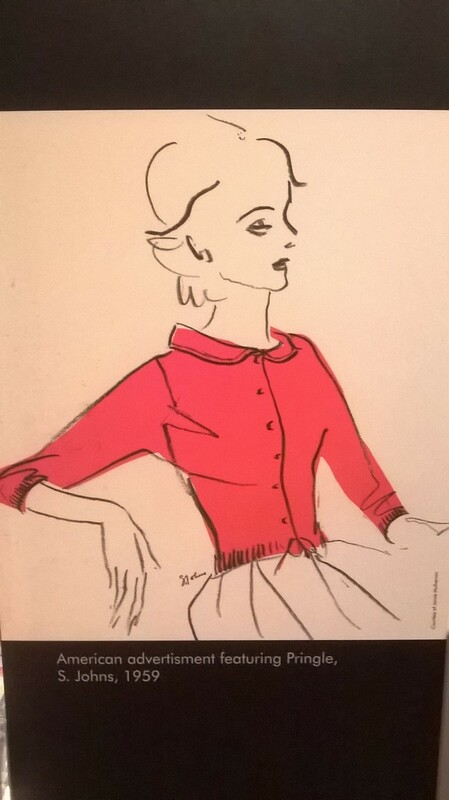 Other designs from the 1950s included ladies woollen jumpers with diamonte decoration. These designs reminded me of designs from last year seen in highstreet shops. I find it very interesting how fashion comes back around. 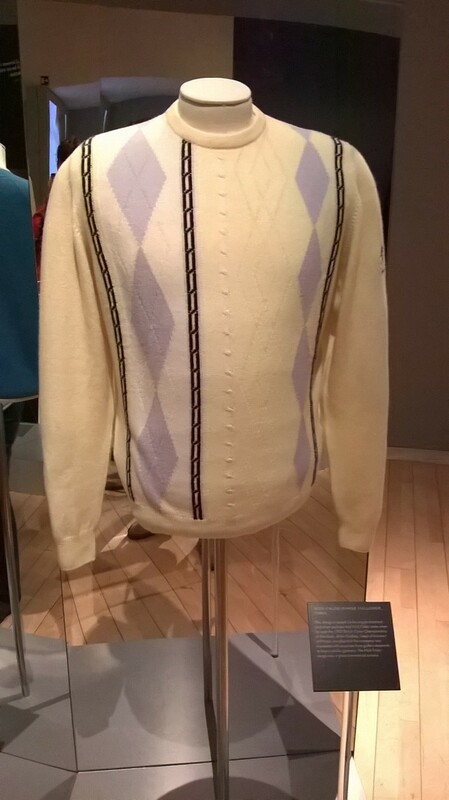 As well as producing fashionable clothing for everyday use Pringle are also well known for their Golfing jumpers which feature the classic golfing diamond pattern. Another sporting outfit that was displayed was a Skiing outfit. 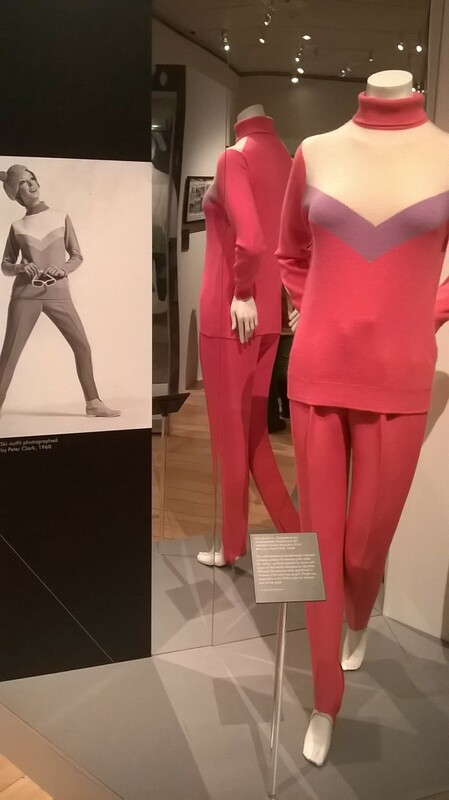 The salopettes were made by another designer but the jumper was made by Pringle to be worn specifically with them. One of my favourite features of the exhibition was the fashion illustrations and advertisments displayed beside the garments. The drawings were elegant and recognisable to the fashion of the time. The illustrations gave an idea of the design process. I really enjoyed seeing the vision of the designers in the illustrations being translated into the finished garments. Stuart Beaty, a designer for Pringle, said ‘Classical knitwear is and will be our statement of perfection’ (1971). This has clearly been the standards for Pringle since it was established. Pringles renowned style and quality has allowed the brand to last 200 years and change with the times. The quality is one aspect that has never been jeopardised since Pringles within the woollen designs.